It is never too late in the year for an awesome outdoor project. 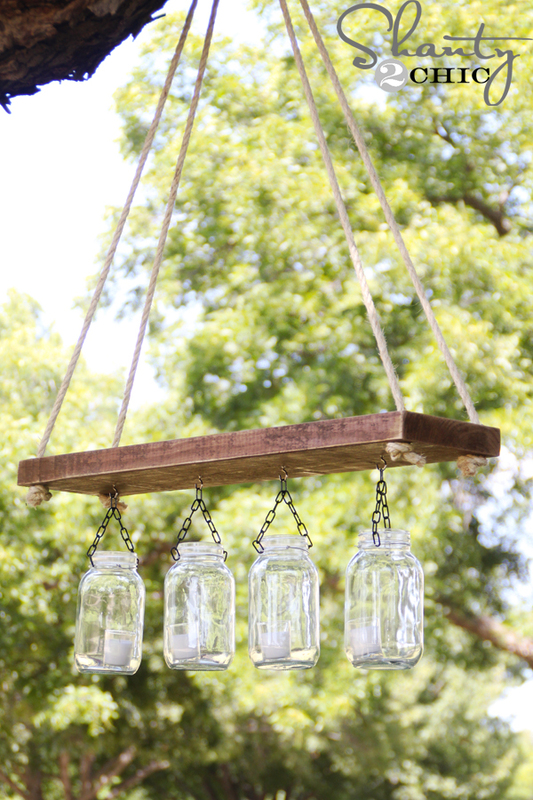 Get the full instructions for this outdoor mason jar chandelier from Shanty 2 Chic. I love this for soooo many reasons. Makes me want to have a covered porch....just to hang this from. Hmm....sounds like a project for next summer! Please visit the original post to pin this project.